Where to begin? Let’s see, Beijing. Where Leila and I left off. When I told people I was headed to Xuchang, in Henan province where my husband Mitch was teaching, I was mostly met with puzzled shakes of the head -not a first for me in China – and wandering upward glances. First they would repeat it, then I would repeat it. Had I said it right? Had they heard me right? Welcome to China: so many opportunities to go wrong – before the one that may go just right. Where the f@&! is Xuchang? The first thing I had to establish was how Leila and I would get to Xuchang – a seemingly mundane task not usually requiring the complex processes of say, subletting an apartment or establishing an internet connection in a powerless, modemless, jungle. There were several options to get there, most involving train connections, either of the high speed or slow chug varieties. Mitch warned me that if I didn’t book early, I could have to stand for the six hour journey. My eye twitched a few times. I investigated on the Beijing front and Mitchell did the same on the Xuchang front. I couldn’t make very much headway on my end with wireless connections down for a Chinese long weekend, typical, the hostel staff said. At the same time, with my passport sitting at the Entry/Exit Bureau in Beijing undergoing a seven day “processing fee” (don’t ask), but which would certainly be needed to book an express train, I was lacking determinate travel options. I was seriously close to taking Leila and checking into Beijing’s Llama Temple with two hundred incense sticks to pray to the ancestors to get me out of this one. We’re going to the beach, Leila, I decided. The ancestors have spoken. Xuchang would have to wait. I went back to the counter at Peking Yard, where the girls at the desk were loving me by now. I wanted to find out if there was a beach close by where I could take Leila for the weekend. The reviews of the beaches around Beijing were generally mixed, so I wanted to get to their opinion. “You want to go …WHERE? To the BEACH!” The girl threw her head back laughing, as if that was hilarious. I wondered what was so funny about that. “Yes,” I replied. “When it’s 38 degrees in Canada, we go to the beach.” What can I say? I’m an island girl. (Prince Edward Island, that is). But sadly, sitting deep in Beijing’s city centre, we still weren’t anywhere close. So the express train to Qinhunagdoa (the beach town) was out, due to the passport issue. So I had the girls check the regular train schedule. They weren’t happy getting back to me with the news, as I stood at the desk with my dictionary in hand, taking photos of the lounge I called home base for two weeks in Beijing (see fish tank above). Unfortunately, they explained, the train station in Qinhuangdao was not available. Not available, I asked? Cosmic debris? Volcanic eruption? Maybe. Who knows? It’s China. But the more I questioned, the more they gave me the same answer. I would be able to get close – the train may let me off at an unusual spot – and I would have to find my way into the city from there. I call this answer the sketchy Chinese ‘No’. This beach town – not yet two hours away – would impossible to get to by train. When I pictured five year old Leila and I, together with our luggage and our terrible Mandarin, what could very well be an industrial park (or worse! ), eating noodles out of a bag, trying to “plot our next move”, well, no, I couldn’t… could I? I’m taking the bus, godammit. I’m getting to the beach. The beach was my only sanity. A voice rose up from god knows where. Go, feel the ocean on your toes. You’re going to be fine, Mo. You’re an adapter. You’re a dreamer, you’re a believer, and you’re an adapter. You’re unnerved by China but you’ll make it. You can’t order your dinner, and you saw a woman spit in a man’s face today, but you’re going to be all right. The same day, I bought Leila and I bus tickets to the northern coastal town of Qinhuangdao, which wasn’t the famous beach town but it was close. And the next day we traveled; i was a little nervous, dragging poor Leila away from her cheese pizza and her friend in the hutong whose mom sold the soy bean milk that was so popular with the locals there. 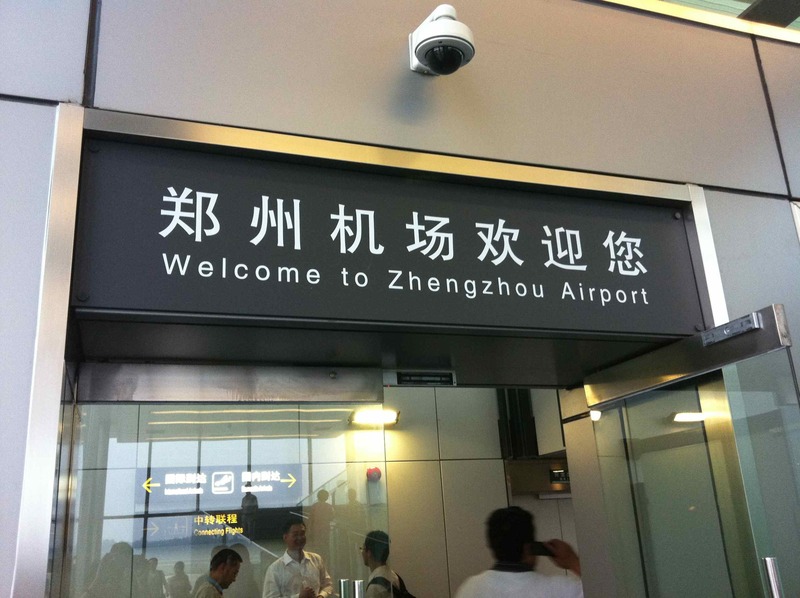 When I spoke to Mitch that weekend – exasperated – he suggested that we just quit trying to plan the train ordeal and fly to Zhenzhou, and he would send a car for us to take us to Xuchang. our next leg would be nothing short of amazing- three nights in xuchang and a cruise down the yantze river. I couldn’t agree more. I’d been on the beach for three days, checked into a Holiday Inn, eating Indian food on a buffet and watching HBO. Clearly, it was time to leave the “China exploratory travel” to the twenty somethings who could stomach the incongruities.